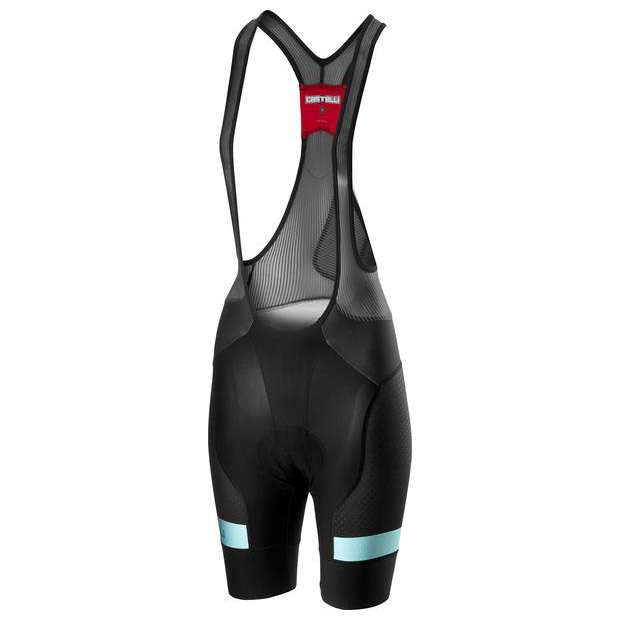 Designed for female riders, the 2019 Castelli Team Sky Free Aero Race 4 W Bibshort represents a significant evolution from last year's model, Castelli's best-selling short ever. 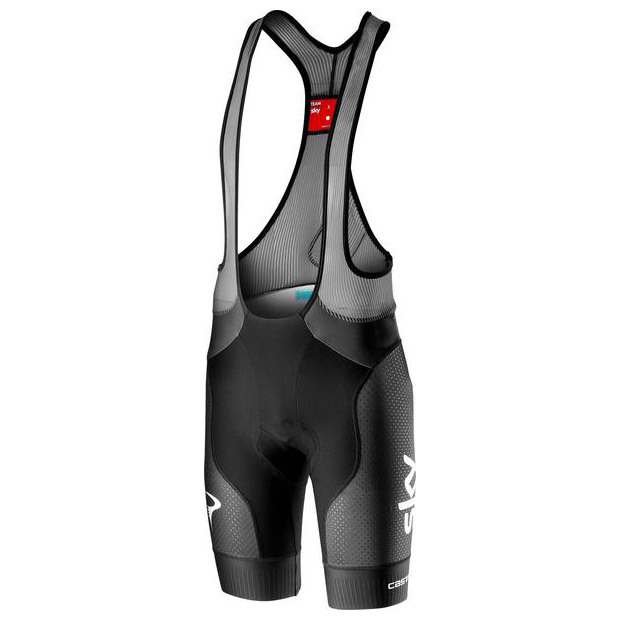 The new design draws on feedback from Team Sky riders and Castelli's 12 years of aero bibshort evolution to deliver some dramatic, performance-enhancing changes. The Free Aero Race 4 Bibshort also features Castelli's brand new Progetto X2 Air Donna Seamless seat pad, which features a two-piece design. 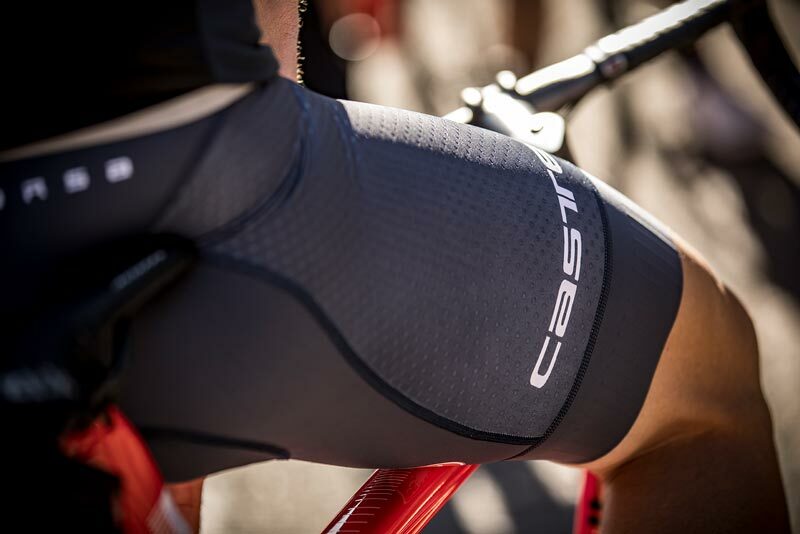 Thanks to Castelli's advanced use of fabric technologies, the supportive foam core is slightly narrower and smaller than before. 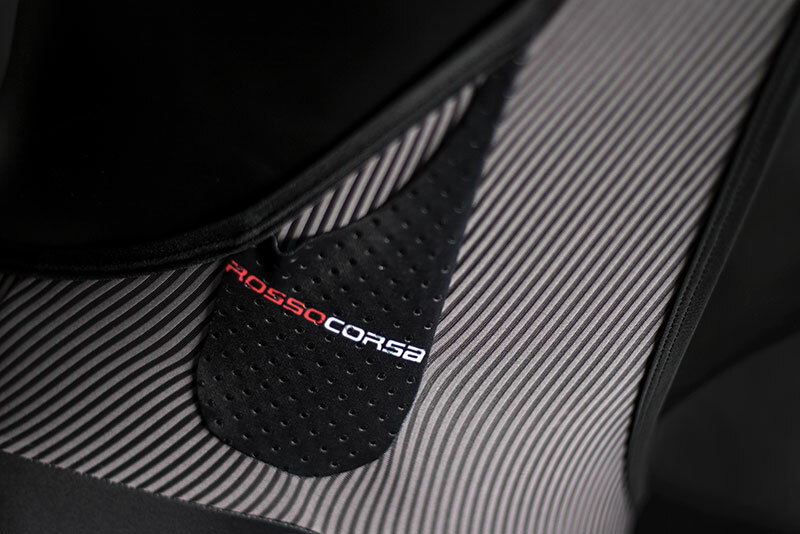 This is because the design's flexibility and elasticity mean it sits exactly where it needs to be – meaning it doesn't have to be wider than the saddle. 12 years in the making with millions of kilometres of pro peloton development, feedback and testing the Free Aero Race 4 W is Castelli's fastest, most comfortable women's racing bibshort. 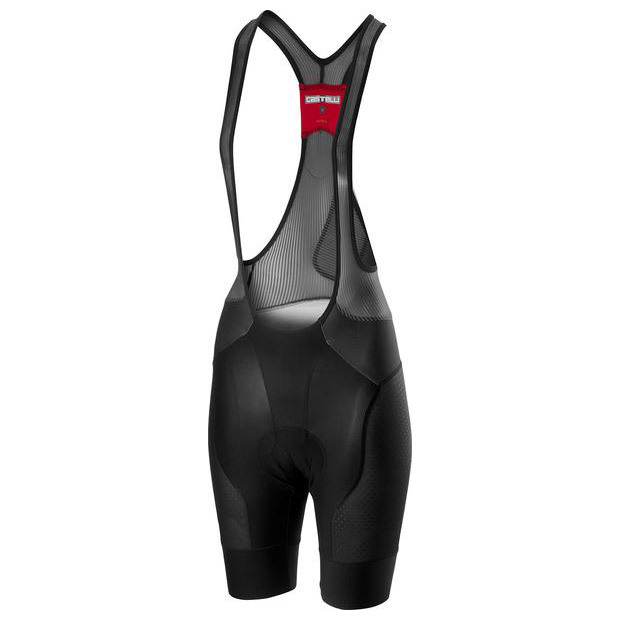 The new Free Aero Race 4 W is the latest female-specific evolution of Castelli’s original Aero Race bibshort, which gave Castelli riders an aerodynamic edge in the peloton when it launched in 2007. The pros ride over 30,000km a year, so they're the ideal testers for Castelli and just as preoccupied with comfort and performance as enthusiast riders. More than a decade on from the original innovation of the Aero Race bibshort, Castelli’s close relationship with Team Sky athletes has once again yielded a performance advantage on the WorldTour scene – minimalism meets speed and all-day comfort. 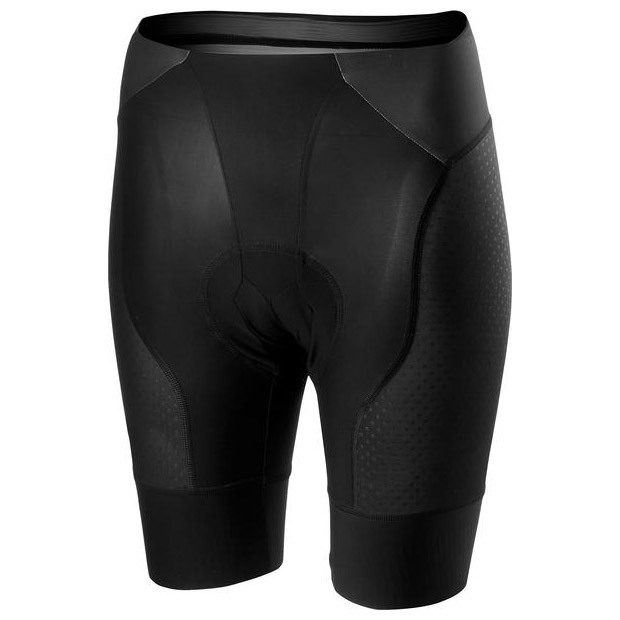 The result is the Free Aero Race 4 W, a pro-level short that's now available to all female riders. 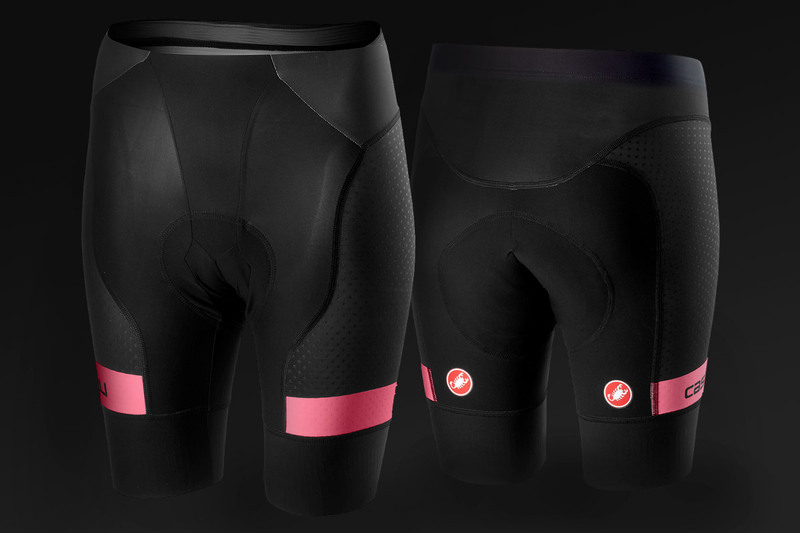 To better cater for the needs of female cyclists, Castelli has created two versions of its most advanced racing short. Whichever you choose, you're getting all the aerodynamic and comfort benefits, whether racing hard or spinning the legs. 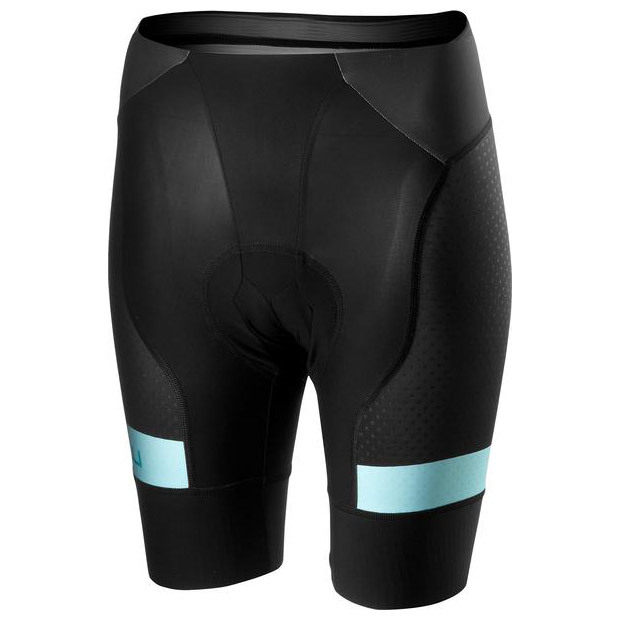 The Free Aero Race 4 W bibshort design is available in standard, Team Sky or Team options, the latter featuring an extra flash of colour on the legs. For both of these options, Castelli team has re-engineered the bib straps with new lighter, more breathable material. This results in better moisture transfer to keep you cooler and drier while lying flatter for even more of a forget-it's-there feel. They're also more durable than ever before and feature a sophisticated new pinstripe design. There's a tidy lie-flat race radio pocket on the rear and a new loop for the radio's microphone was added at the request of team riders. 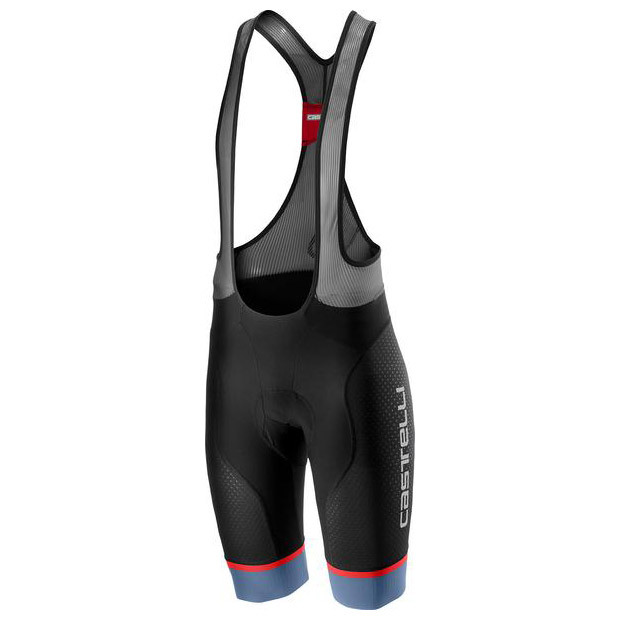 For the short versions, Castelli has opted for a comfortable high-rise waistband that holds the shorts in place without restriction and gives the same coverage as the bibs to ensure there are no gaps between jersey and shorts. There's also the added benefit of making nature breaks that much more convenient. The Free Aero Race 4 Bibshort incorporates Castelli's brand new Progetto X2 Air Seamless Dona seat pad, which features a two-piece design and women's-specific shaping.